I just finished reading an interesting article written by Rita Altman. The article was published on the Huffington Post. 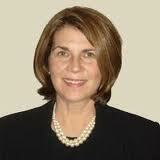 Rita is Vice President, Memory Care and Programming for Sunrise Senior Living. In the article Rita describes an encounter and interaction with an 80 year old man living with dementia. Mr. Richards just wanted to express his loneliness and his anger towards his father. Dementia robs him of his ability to convey his emotions in more traditional ways. As those with memory loss age, they unconsciously begin to reflect on their lives and seek to resolve unsettled emotions. Instead of lying or denying the reality that memory loss sufferers live in, we can help them feel valued and heard by validating their emotions. We have the opportunity to accompany them on their journey to resolve conflict in their lives through listening with empathy. We can help them communicate. After you read the article let us know your reaction. If you have any additional insights, advice, or questions, use the Add New Comment box below this article.